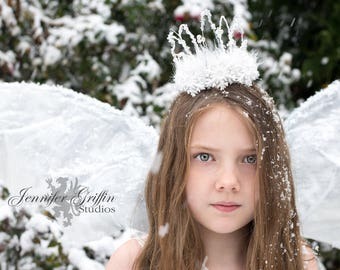 This stunning snow queen snow flake crown was created for use in a winter wedding, for a winter fairy costume, a snow fairy costume, a white witch or winter witch costume, or for a snow themed photo shoot. 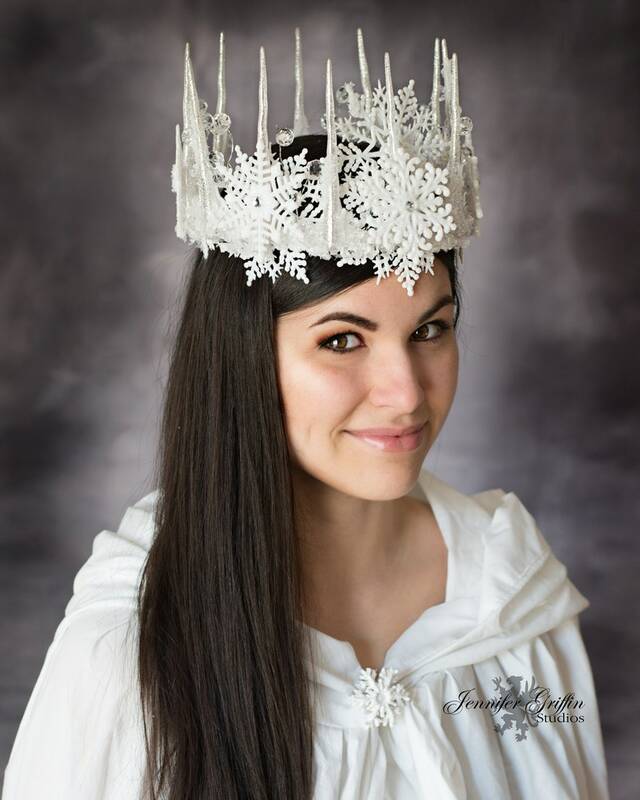 The ice crown is adjustable with a white ribbon tie in the back. There are several layers of acrylic snowflakes, acrylic ice pieces, acrylic icicles, faux snow, clear German glass glitter and clear beads. 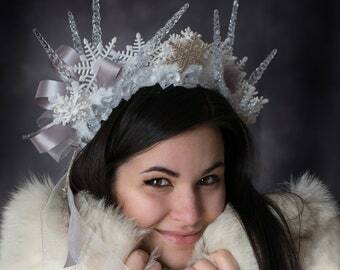 Each of the snowflakes has a white rhinestone in the center for added sparkle, and the snowflake crown is lined with white felt for comfortable wear. 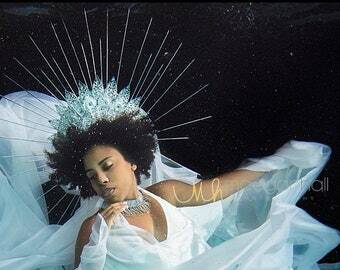 This is a one of a kind crown. 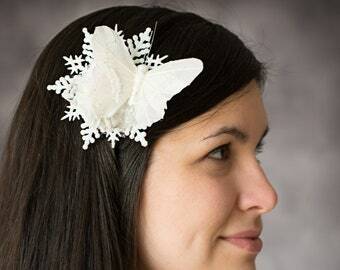 I am unable to create another so if you love it and you think it is perfect then I would purchase it! Please ask any questions about this piece before purchase, as this crown in non-returnable. In other words, I cannot take returns on this item.